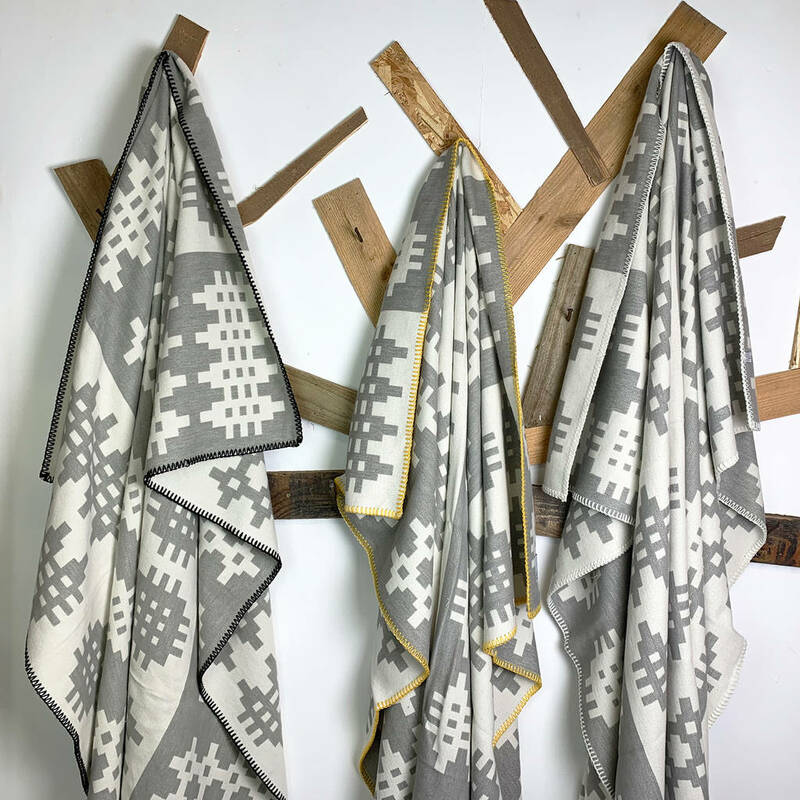 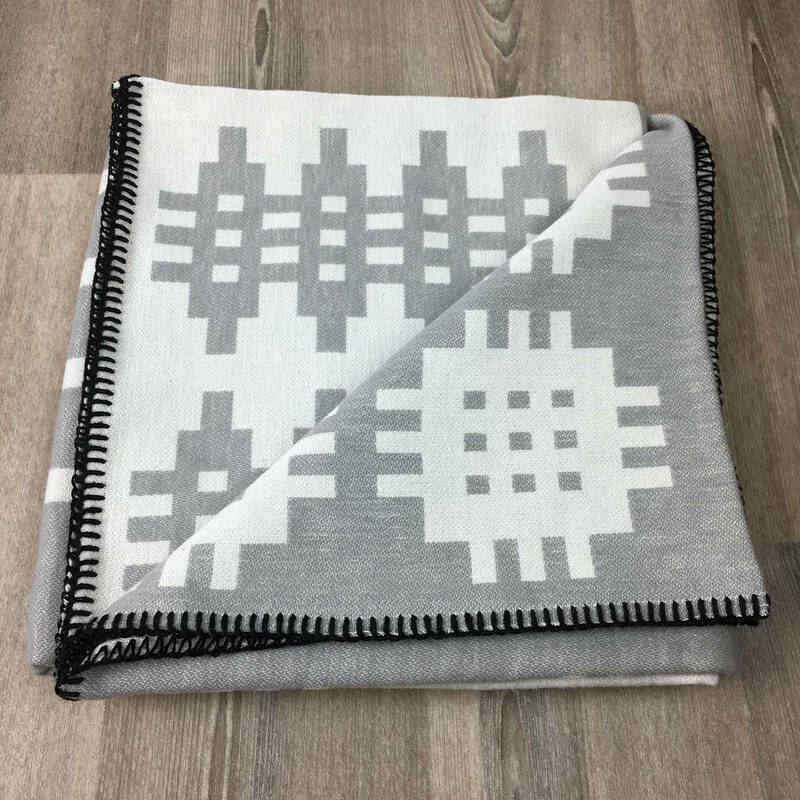 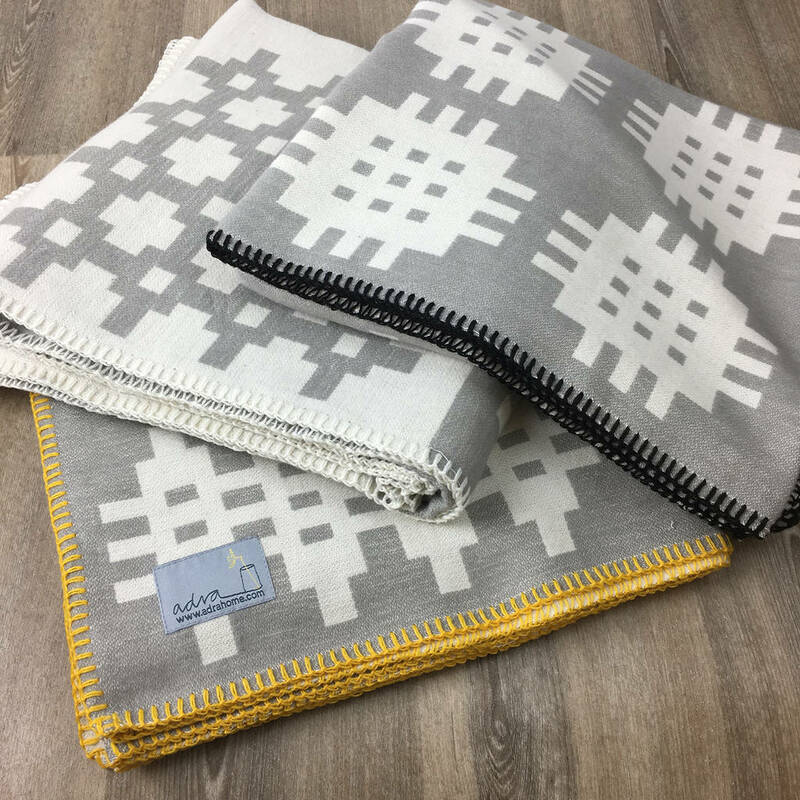 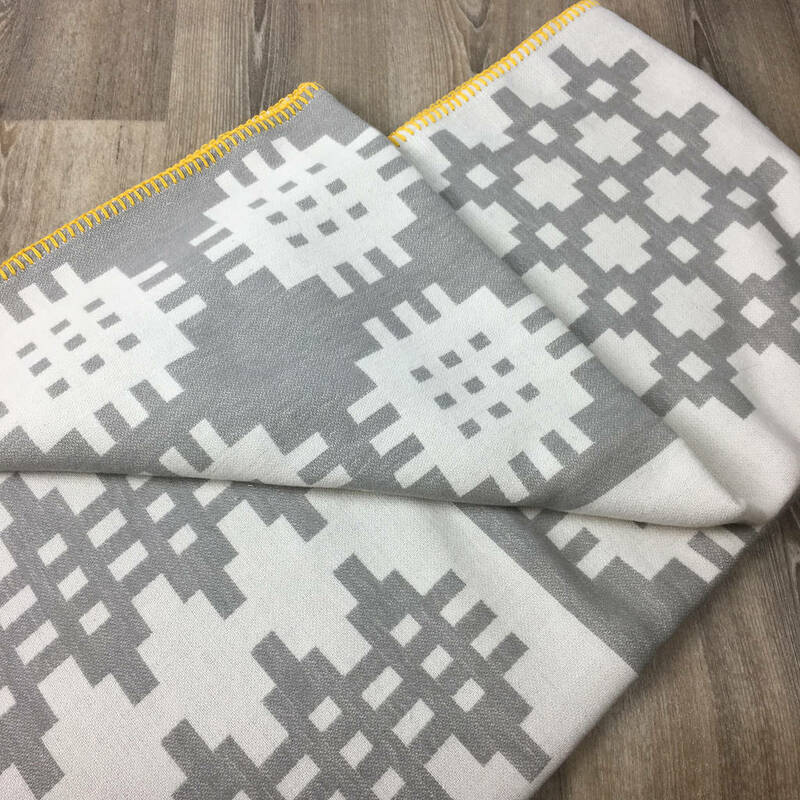 A beautifully soft handmade throw featuring the iconic Welsh Caernarfon pattern in grey and cream with contrast blanket stitching along the edge. 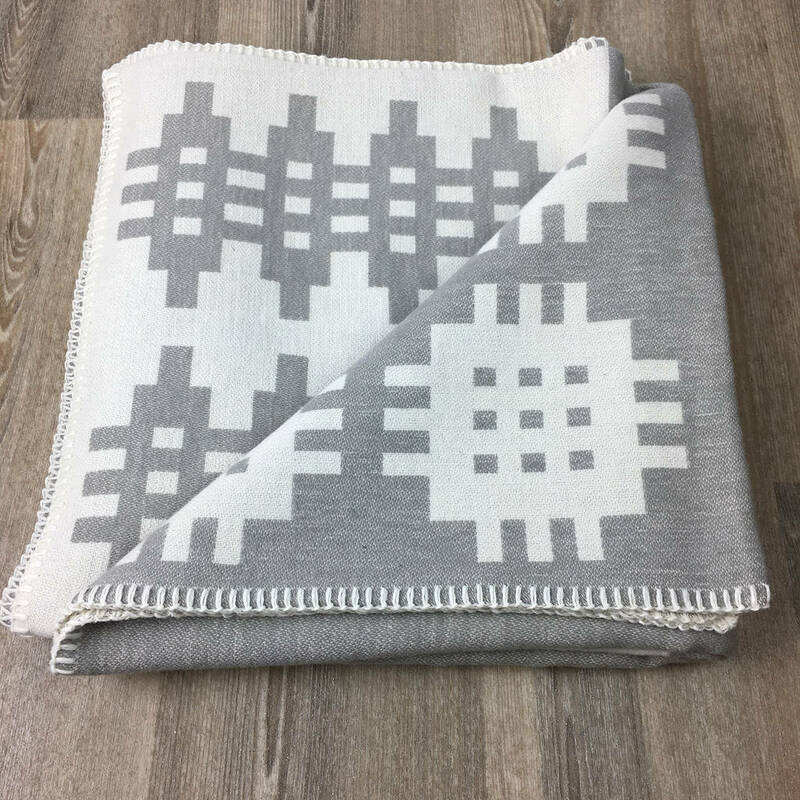 This organic cotton blanket looks great draped over a bed, and is soft enough to snuggle under on the sofa. 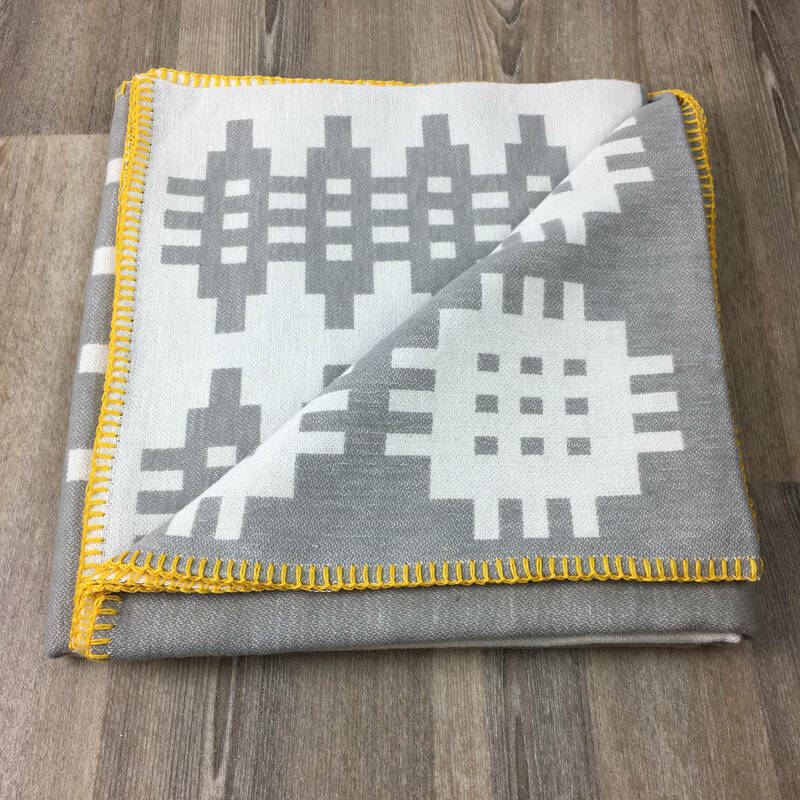 Blanket stitch edging in a choice of three colours.